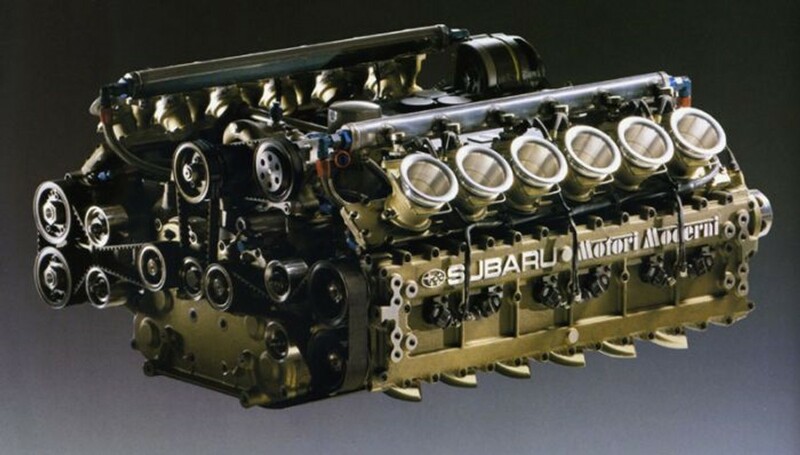 Subaru is celebrating the 50th anniversary of the birth its trademark Boxer engine, an engine configuration that only one other company (Porsche) also currently produces. 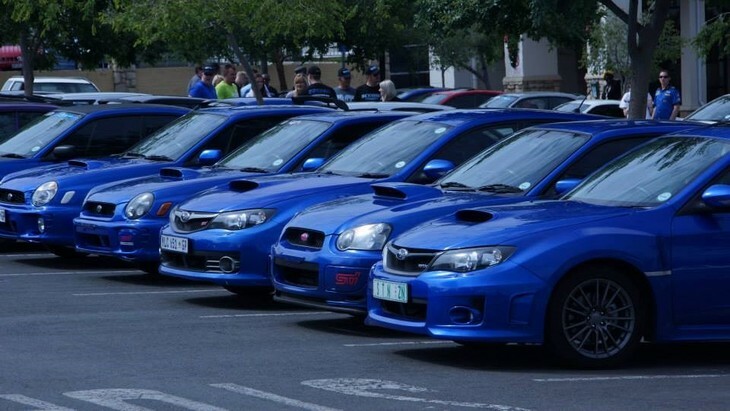 Since 1966 more than 16 million vehicles powered by these engines have been sold, and they remain a major factor in the unique charm of Subaru's products. The engine is so called because the movement of the engine's pistons resembles the movement of a boxer's fists. In a horizontally-opposed design of the Boxer engine, the pistons face each other in a side-to-side symmetrical layout. And why is Subaru sticking to this quirky design? It says that the opposing pistons work to cancel out the inertia force of each other, resulting in less vibration and improved rotational balance which provide engine smoothness, even at higher engine speeds. 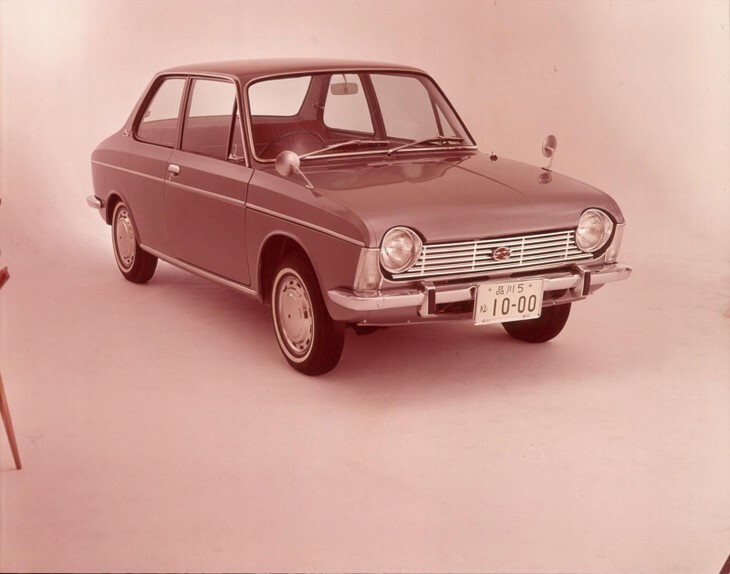 The Subaru 1000 - the first production Subaru with a boxer engine. Think of the Subaru 1000 as the Impreza's ancestor. When it was launched in 1966 it was the company's first front-wheel drive product, and it also sported the company's first production boxer engine. But, with only 41 kW, it wasn't the STI of its day, Even the later SS model sported only 49 kW. 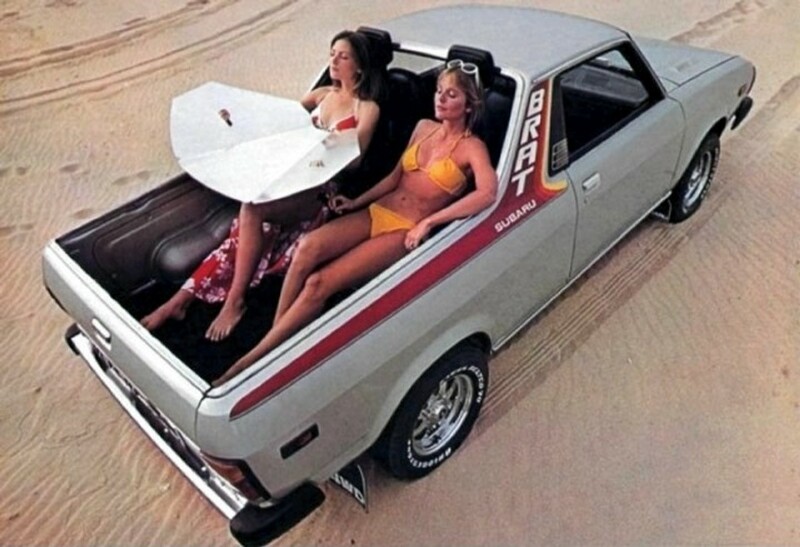 Developed following a request by the boss of Subaru of America, the Brat turned into quite a success story. 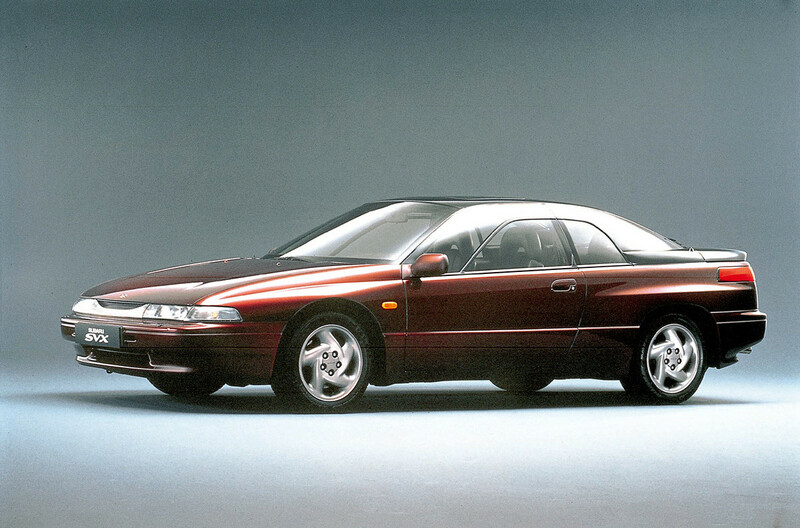 It had a long model life (from 1978 to 1994) and yet was never officially sold in Japan. 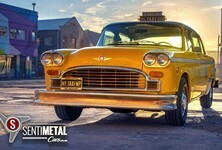 It was a rather unique product - based on the Leone sedan of the time, it had all-wheel drive, which its rivals couldn't match, and it even sported such fun features as a T-bar roof and... jump seats, allowing for comfortable sun-tanning in the loadbay... It was launched with a 1.6-litre boxer four, but later models had a 1.8 and some even had turbocharging (there's that fascination with boost again!). Interestingly, President Ronald Reagan owned a Brat until 1998. 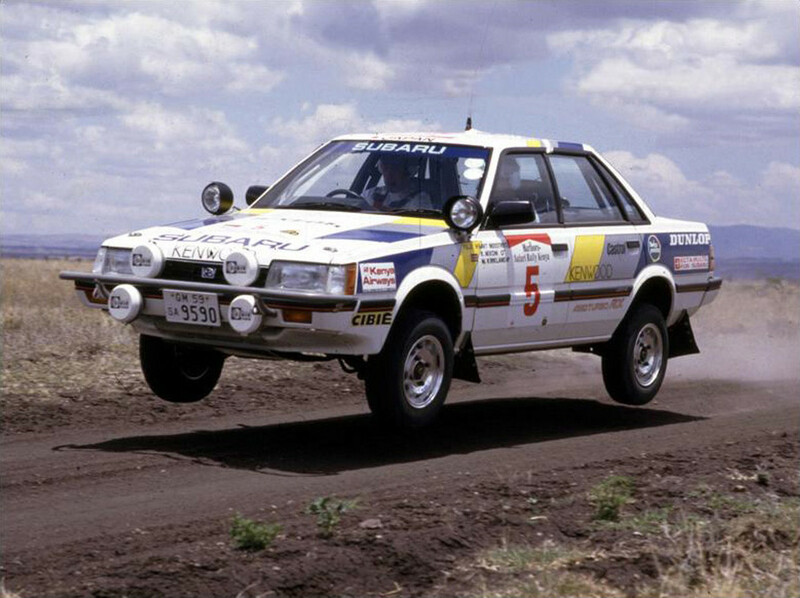 Mike Kirkland on the way to sixth overall in the 1986 Safari Rally. Subaru took part in several rallies during the '80s with varying success, but a definite highlight came when Mike Kirkland won the Group A class and finished sixth overall in the tortoruous 1986 Safari Rally, driving the Leone RX Turbo. It was an indication of glories to come later - the Leone RX Turbo was one of the early four-wheel drive/turbocharged rally cars of its era and previewed what would come from later Legacy and Impreza models. 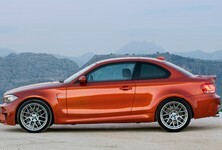 Its 1.8-litre engine delivered just over 140 kW. It's not often you'll see a flat-12 cylinder engine. Yes, you're not reading that wrong. Subaru once had a short (and spectacularly unsuccessful) stint in F1 when it took control of the Coloni F1 team for the 1990 season. Powering their car was a 3.5-litre Flat-12 engine that delivered between 417 and 447 kW... not nearly enough for the Coloni to ever progress past pre-qualifying on a race weekend, driven by Bertrand Gachot. Still... the mere fact that they tried! The SVX boasted a very futuristic design but was not a commercial success. 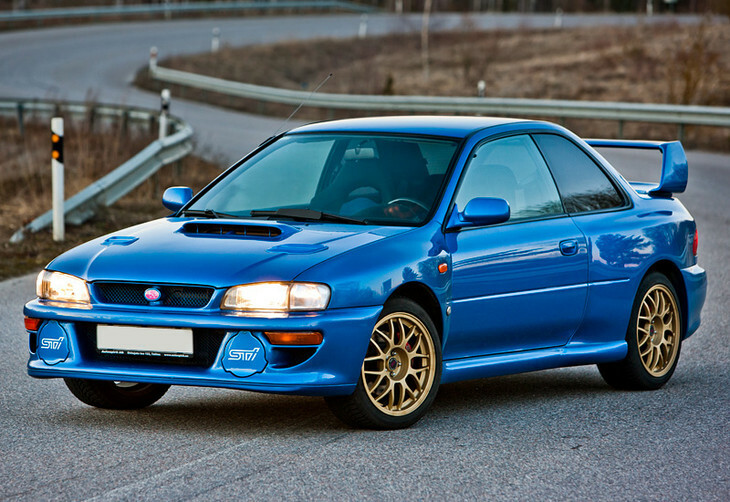 Arguably the most iconic Subaru of all - the 22B. Mention 22B to any Subaru enthusiasts and their eyes are likely to instantly glaze over as they transcend into a dream-like state. The 22B is arguably the most desired Subaru of all... With its special wider body, the 22B STI was built to celebrate Subaru's 40th anniversary as well as a third consecutive title for Subaru in the FIA World Rally Championship. It was the peak of Subaru's rise to iconic status. 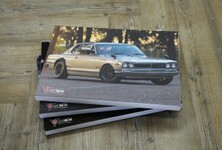 It is said that the 400 Japanese units built were sold out in less than two days. 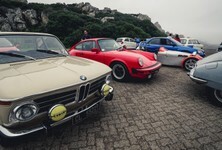 It was powered by a 2.2-litre boxer four that officially delivered 206 kW. Increasingly under pressure to add more fuel-efficient engines to its line-up, Subaru developed the world's first boxer turbodiesel and launched it in 2007. Initially it was fitted to the Outback, but has since also been offered in products such as the Forester world-wide. 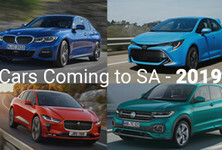 The 2.0-litre engine developed a good 350 Nm of torque and continues to be highly rated for its smoothness and efficiency. And now for something very different. The BRZ coupe (co-developed with Toyota's 86) may have recently disappeared from South African pricelists, but it forms a popular base for tuners the world over. However, not many are as extreme as this dragster that belongs to Ali Afshar. Using a 2012 BRZ as a base, he replaced the 2.0-litre boxer with the block from the '90s SVX. And then he added a whole of goodies, including a pair of FP HTA Super 94 turbochargers. The result? More than 1 600HP (around 1 200kW) ! Looking for a used Subaru? Try our stock listings here.